The American manufacturer wants to revive its department for military developments. General Motors has filed a new trademark application for a logo of the GM Defense department, which can be used for “motor land vehicles, namely, hydrogen powered vehicles, fuel cell powered vehicles” and more. If you are unfamiliar with the GM Defense, it’s the manufacturer’s military unit that is rumored to be resurrected soon. 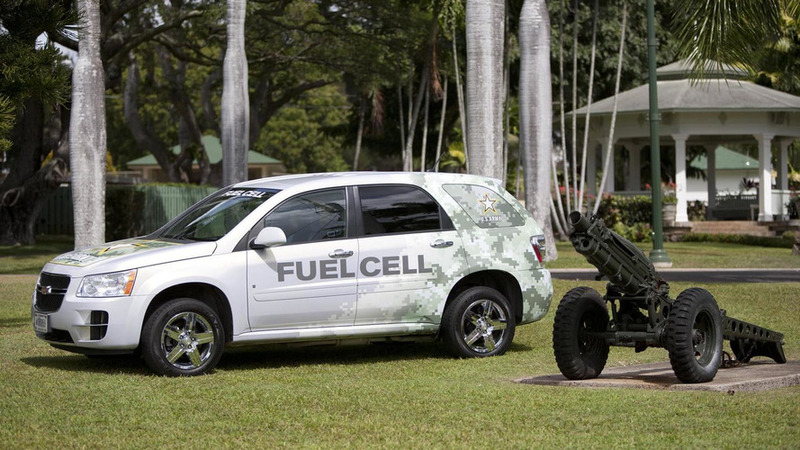 Back in October last year, it was reported the American automotive giant has plans to bring back to life its military department and build three hydrogen vehicles for the U.S. army. While nothing is confirmed at the moment, this new trademark application fuels the rumors even further, and GM Inside News shares preliminary details about the project. According to the online publication, General Motors is working on a Silent Utility Rover Universal Superstructure (SURUS), which is basically a heavy duty chassis that will be designed as a foundation of different military, and probably commercial, vehicles, using a single propulsion system integrated into different bodies. It is believed the platform will also allow for some autonomous functions. Currently, GM is in discussion with the Army Tank Automotive Research, Development and Engineering Center about the architecture’s capabilities. Founded in 1950 by General Motors, the GM Defense division was sold to General Dynamics in 2003 for $1.1 billion and is now part of the General Dynamics Land Systems division. According to Automotive News, GM wants to focus the revived military department on "helping GM better anticipate and react to the diverse needs of global aerospace and defense customers."